The management and front desk staff were very helpful from Check in to check out. Elvis and the young man who checked me in and the young lady who checked me out were very patient and helpful. I would recommend staying there to all my friends. The facilities were older but well maintained. The location was excellent, only a few miles from Universal Studios. Amazing place. Clean, comfortable bed, plenty of pillows. Kitchen has many of the essentials, pots, pans, silverware, cups, plates, dishwasher. 24 hr pool and hot tub. Furniture low grade compared to money charged for rooms. appliances poor grade, breakfast a joke, elevators old, all in all, I am very dissatisfied. Whenever I see the Enclave name on any hotel listing, I will run. Kira was very nice, that’s about the only positive. The breakfast was better than expected. There was hot oatmeal plus another hot item (boiled eggs, biscuits and gravy, scrambled eggs with cheese). Also had cereal, pastry, fruit, yogurt and more. good breakfast with plenty of space. and location excellent. The mattresses were beyond horrible. We could tolerate anything but the mattresses were not acceptable. No sleep. 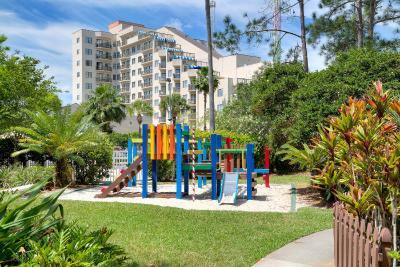 Enclave Suites, a staySky Hotel & Resort Near Universal This rating is a reflection of how the property compares to the industry standard when it comes to price, facilities and services available. It's based on a self-evaluation by the property. Use this rating to help choose your stay! 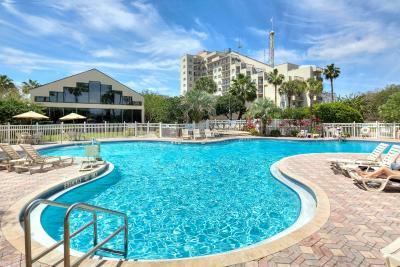 This lakefront resort provides free shuttle service to Universal Studios Theme Park and SeaWorld. 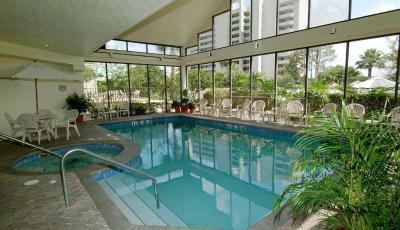 It offers an on-site food court and 2 outdoor pools. Wired internet and cable TV with pay-per-view movies are included in each room at Enclave Suites a Sky Hotel & Resort. A microwave and refrigerator are provided. Each room has a balcony with views of the lake or the resort. 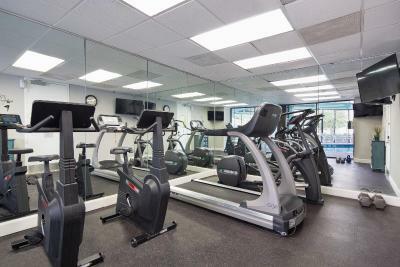 A 24-hour gym and lit tennis courts are open to guests at Enclave Suites. 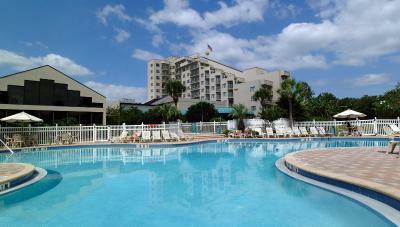 The resort offers a kids club and 2 children pools. 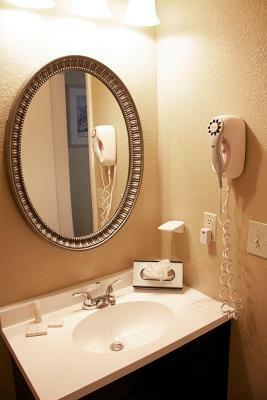 Walt Disney World is a 15-minute drive from Sky Hotel Enclave Suite, and shuttle service is available. Orlando International Airport is 15 miles from the property. When would you like to stay at Enclave Suites, a staySky Hotel & Resort Near Universal? 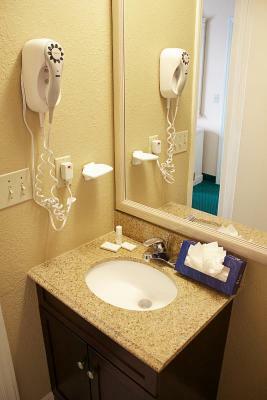 This room features cable TV, a microwave and a small refrigerator. 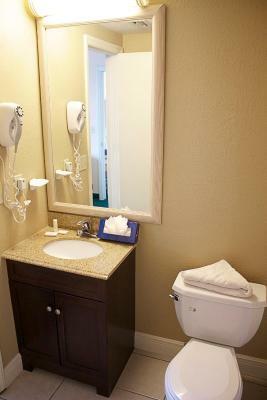 This spacious suite features a separate living area, 2 bathrooms, and a full kitchen. This spacious suite features a separate living area and a full kitchen. 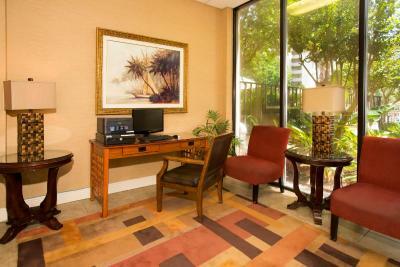 This spacious suite features a separate living area, a children's work station, and a full kitchen. 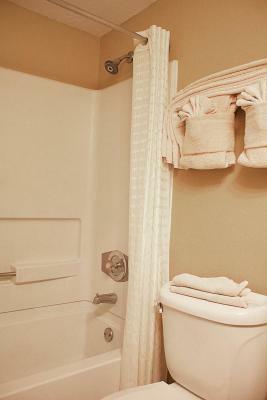 House Rules Enclave Suites, a staySky Hotel & Resort Near Universal takes special requests – add in the next step! Enclave Suites, a staySky Hotel &amp; Resort Near Universal accepts these cards and reserves the right to temporarily hold an amount prior to arrival. Enclave Suites, a staySky Hotel & Resort Near Universal accepts these cards and reserves the right to temporarily hold an amount prior to arrival. 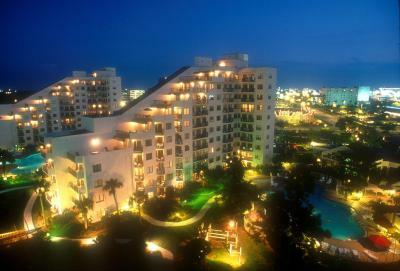 We stayed here in 2007. The whole building include decor and furnishings in desperate need of refurbishment. Nothing has change, still ill fitting cupboards in kitchen, only 1 teaspoon, draws falls out when opening. We are very disappointed. Broken elevator, leaky bathtub, broken cabinets, dirty carpet. Some may not like the older facilities but everything was pretty well maintained. Mostly everything. The utility closet is completely covered with dirt dust and other things I can not describe. I'm still itching. The staff could care less about guest comfort. The manager Vera couldn’t even bother speaking with me after me having multiple issues with the hotel. The paid breakfast was not good, but Kira gave us a free voucher for it. Room is a bit old ...all equipment is not working properly such as fridge, microwave did nkt have a tray to put the food on. The pool and hot tub did not work. 1 elevator was down. Took a very long time to even get to your room. Air conditioning was being repaired on 1 day we were there so no air. Ceiling tile kept falling down and there was not enough hot water for 3 of us to bathe. Location and shuttle to universal.